Nineteen years down the lane, after Nigeria came under the best system of government that gives it's people the opportunity of choosing its leaders and airing dispositions to governance, public figures, policy formulation and implementation among other national events without fear of intimidation, discrimination and victimisation. Democracy have truly afforded us the opportunity of contributing our quota to changing the developmental narratives of our respective states and Nigeria at large, but less are these advantages been harnessed. As a people, we've experienced more of the negative externalities of Democratic rule, while a microscopic few have continually benefited from our nascent democracy, the majority have continued to chew the bitter pill. It is however unfortunate that no one can make us feel inferior without our consent, we've been instrumental to our own ordeal, overtly and covertly. The power Democracy conceded to the people of Kwarans and Nigerians have not been taken full advantage of, while some sold their voices to pettiness and politics of materialism, others have flagrantly displayed apathy to governance and political events. Thus, empowering the minority to be the author and finisher of our national faith while we continue to lament ceaselessly, helplessly and rudderlessly. 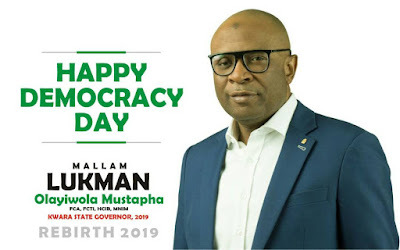 On the occasion of Democracy Day, I want to admonish Kwarans and Nigerians never to give up but change our ways and dispositions to national events. We must ensure objectivity and put the state first in whatever civic decision we make, in voting and other political participations. Our voices should be priceless and uncompromising in the interest of the prosterity and humanity. More than ever, we must be firm in our resolve to make Kwara and Nigeria work for it's people, we must ceaselessly make our voices heard with civility, appreciating the fact that Democracy bequeath on us the power to be the decider of our own national fate, we must maximize the opportunity availed us by Democracy. I also use this opportunity to once again admonish all Kwarans of conscience to rise and demand a better deal from its leaders, we can't afford to continue to go thirsty while sitting on the river bank, we all must rise up and be counted. 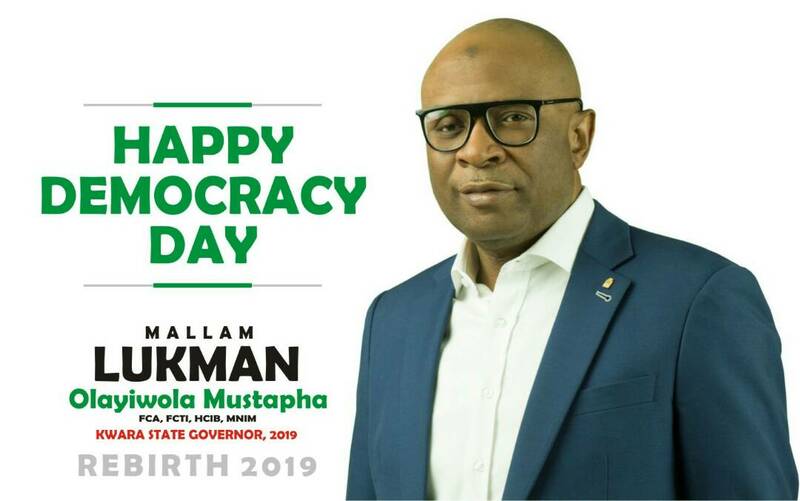 Happy Democracy Day Kwarans and Nigerians, it is my hope that the coming years will birth better democratic experience where the true tenets of democracy will become the norm.